The Saretsky Report contributed to this article. 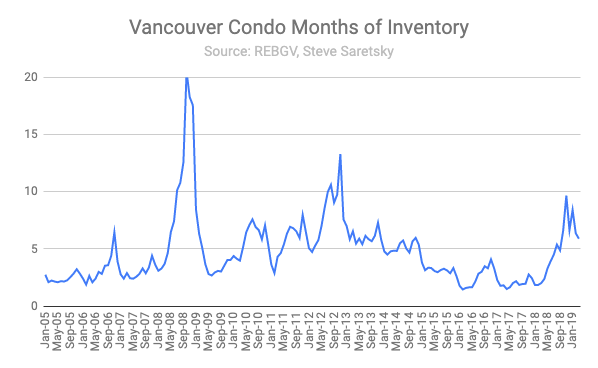 Just like last month, when Grant's Interest Rate Observer dubbed the Vancouver housing market as "ghastly", in April Vancouver once again reported the fewest monthly sales in 33 years. 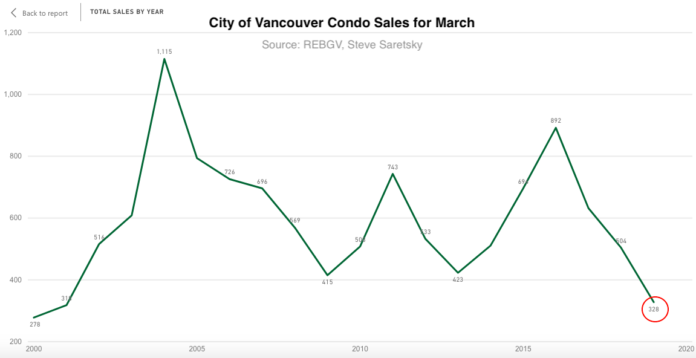 According to the Real Estate Board of Greater Vancouver, total housing sales were 46.3% below the 10-year March sales average and was the lowest total for the month since 1986. Condo sales took a steep drop, falling 35% year-over-year as they play catch up with the detached housing market. Given the lack of sales this allowed condo inventory to nearly double, growing 94% from last year. While the rapid pace of inventory growth is concerning the months of inventory remains balanced at just under 6 months. 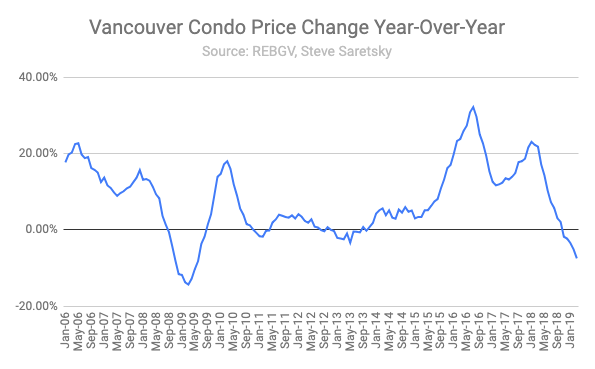 However, given new listings continue to grow and there are still over 40,000 units under construction in Greater Vancouver so inventory will continue trending higher which will surely place added price pressure on the condo segment. 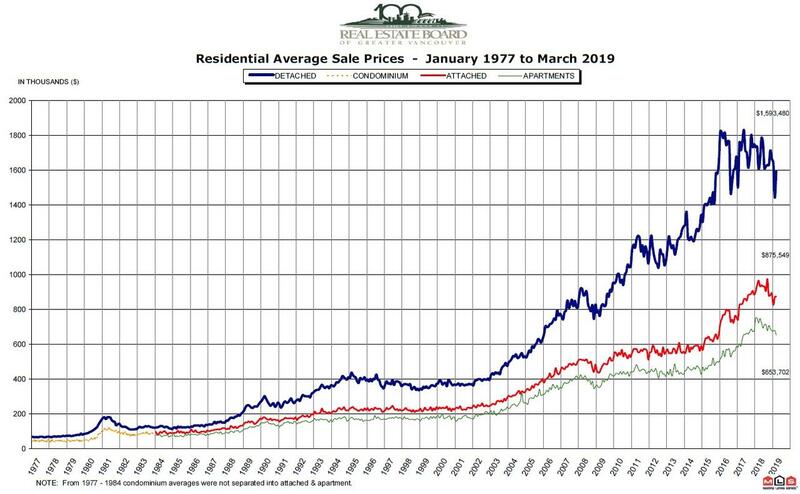 As we can see, with lower sales and rising inventory price pressures are already building: looking at the overall market, the MLS Home Price Index composite benchmark price for all residential properties in Metro Vancouver was $1,011,200 in March 2019, a 7.7% decrease from March 2018. The benchmark price for a detached home is $1,437,100, a 10.5% decrease from March 2018, and a 0.4% decrease compared to February 2019. ... all of which is a vivid reminder of what happens to various global assets when Chinese oligarch bidders of last resort, desperate to park their assets offshore, step away.